Over the past few years, we’ve been building a dialogue and creating a verbal infrastructure that will support the weight of a hefty topic: the future of the Art Gallery of Greater Victoria. 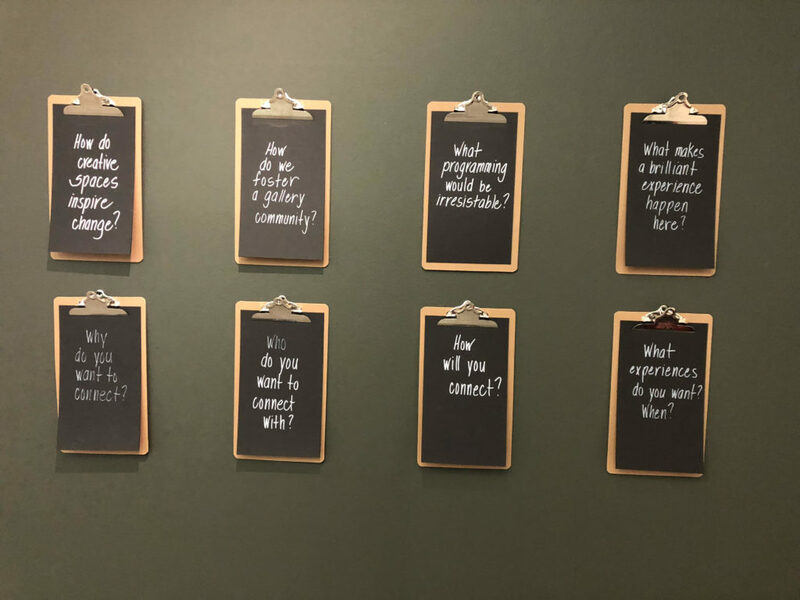 Unlike your typical construction which takes place on location, we’ve been reaching out to communities, organizations and people like you — dear reader —because external input is essential in constructing the galleries future. In fact, this discourse wouldn’t be meaningful without the ideas and insights of the communities we serve. 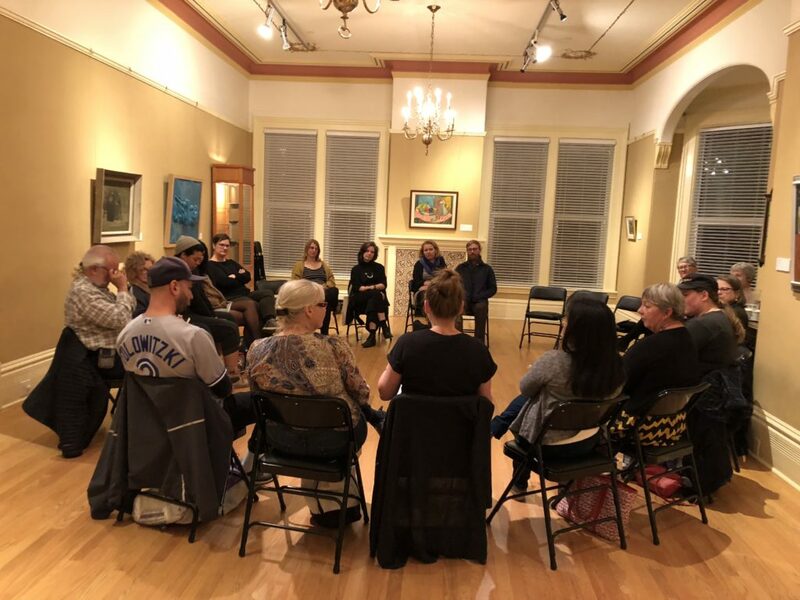 In anticipation of our building renewal project, AGGV Curator of Engagement, Nicole Stanbridge, recently facilitated a community conversation series aptly named “Under Construction”. The focus of this iteration of our Communities and Collections program was to dig into the challenges and opportunities that present themselves when working through the construction phase of a cultural institution. We welcomed guest speakers with experience in this arena, as well as members of the community to share their thoughts on how a new building would support the future of the AGGV. Stephanie Nadeau, Head of Public, Educational and Community Programs at the Ottawa Art Gallery and Keri Ryan, Associate Director, Interpretation and Visitor Research at the Art Gallery of Ontario offered sound advice, from Nadeau’s “forget everything you know when opening the doors of a brand new space” to Ryan’s five transitional stages of a building renewal: “Reopening, Hangover, Reality, Recalibration and Moving On”. Erin Macklem, recently the Artistic Associate and Outreach Coordinator at the Belfry Theatre, and current Program Officer at the BC Arts Council, shed light on how the Belfry Theatre’s new space impacted visitors and staff in surprising new ways. Rance Mok, Associate, HCMA Architecture, emphasized how important community conversations are before starting any building project. She encouraged going beyond the physical boundaries of space while investigating the use of a building. For example, understanding how people want to use the space and how certain design elements such as lighting can make a space more welcoming. 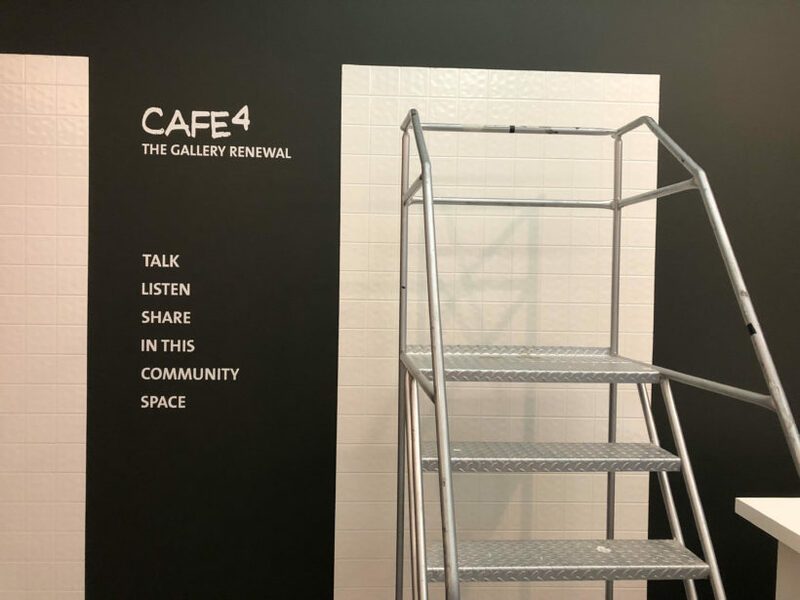 Some of the insight offered were suggestions such as “let go of authority”, “be open about the vulnerabilities the Gallery faces” and “don’t be afraid to ask for help”. The group also discussed looking at both physical and conceptual spaces during construction and making meaningful partnerships in the community such as working with other organizations and artists that benefit both parties. These informative discussions coincide with BRAINSTORM, an interactive project space in which we imagine, with our visitors, how we can move the AGGV into the future. It features a range of hands-on activities and opportunities to share ideas about the future of the AGGV’s programming. With insight into the Gallery’s history and future; innovative explorations of the AGGV collection; and more. 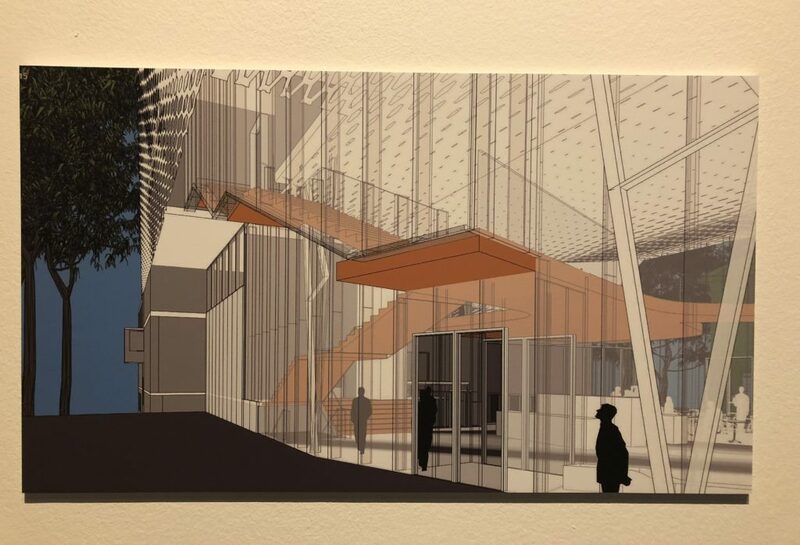 If you have some ideas on how you envision the future of the Art Gallery of Greater Victoria or what you would like to see in our programming, please do tell. Visit our interactive space and share your thoughts—we’d love to hear from you!